But fruit is also high in sugar. Especially concentrated forms like juices and smoothies. Once you go low-carb, fruit is out. Some of us worry about this. We’ve been told so many times that fruit is the path to nutritional righteousness. How can a low-carb diet be healthy, if it excludes fruit? In reality, fruit is not the only source of vitamins, and not even the best one – despite all the good PR. You could get most of what you need from those foods alone. Vitamin C is slightly different. It can only come from plant sources. And it’s true that most fruit is high in vitamin C.
But so are vegetables! And that’s the answer. Veggies get their share of good PR. But they seem like a poor cousin of fruit. Surely the smooth, colourful, sweet fruit are more nutritious than boring old spinach or broccoli? That’s a myth! Many low-carb vegetables have a higher vitamin content than fruit. The best source of vitamin C is not oranges or lemons. 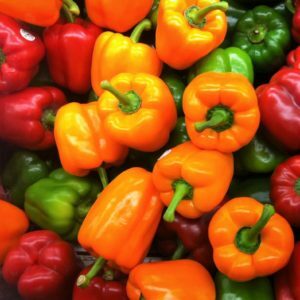 It’s actually humble bell peppers, with over three times more vitamin C (yes, three times!) than oranges. Berries are also a good source of vitamins. 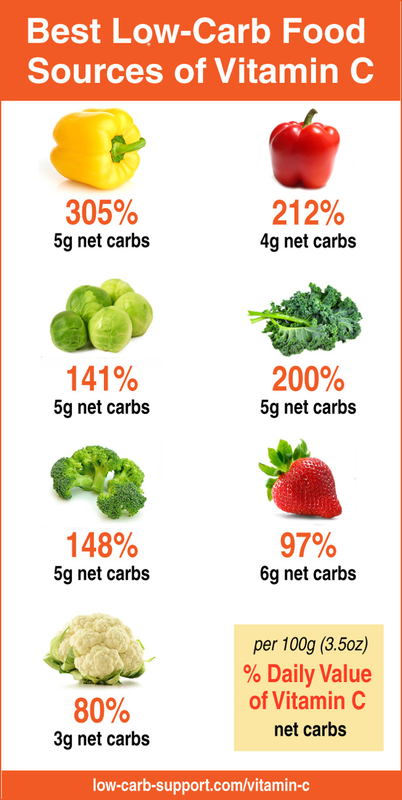 They are a bit higher in carbs than vegetables, but not as high as fruit. Most low-carb diet plans allow berries, so make the most of them. 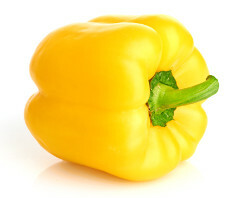 On top of our list is yellow bell pepper, providing a whopping 305% of your daily vitamin C requirement in 100g (that’s about a half of a large pepper). The same amount of oranges would only give you 88% of your daily value of vitamin C, but with double the carbs. The best way to eat peppers is fresh – just cut it in strips and enjoy with a dip, or add peppers to salads and vegetable smoothies. Roasted peppers are also lovely. 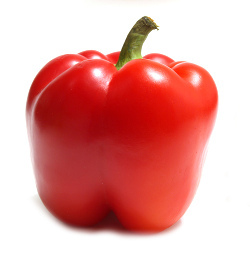 Red bell pepper gets its own entry, as it has a slightly different nutritional profile. It is not as high in Vitamin C as its yellow cousin, but it still beats oranges hands down. So if you can’t find any yellow peppers, red bell peppers are next on the list. Kale might look like glorified grass, but is ridiculously nutritious. A small 100g portion has 200% of your daily vitamin C requirement. 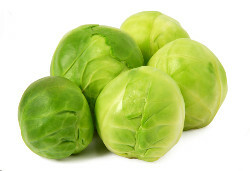 It is also very high in Vitamin A, iron, magnesium and fibre. Make salads and smoothies with kale, fry or steam for a side dish, or add it to soups and stews. 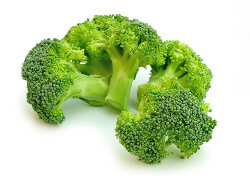 Broccoli is a very versatile vegetable. It can be a simple side dish on its own. It can also play a central role in soups, frittatas and gratins. Strong-tasting cheese (like cheddar, stilton or parmesan) is a good companion for broccoli. These tiny cabbages are nutritional gems. Their reputation of blandness is mostly due to boring cooking methods like boiling. They are great if you fry or roast them instead, with plenty of fat. Bacon works well to jazz up Brussels sprouts. It helps to bring out their more adventurous side – so try frying them together. Berries are great as a low-carb treat. Most of them are quite high in vitamins. 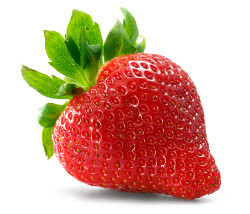 Strawberries are the best choice for vitamin C.
Fresh strawberries are fantastic, especially when in season. Frozen strawberries work well in smoothies and dessert recipes. And last but not least, we have the queen of low-carb vegetables – cauliflower. Cauliflower is a great low-carb substitute for potatoes and rice, so it is already hugely popular. 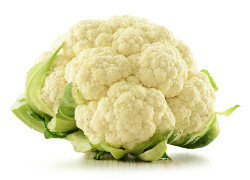 If you needed another reason to eat cauliflower, think of its high vitamin C content – almost as high as oranges. If you are still worried about getting enough vitamins on your low-carb diet, consider taking a daily multivitamin. It is a simple insurance policy against nutritional deficiencies. Choose a high-quality, extra-strong formulation, ideally one that’s developed specifically for low-carb dieters.